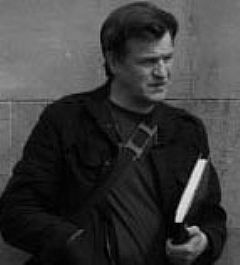 Andy Harris is one of those creative and generous people who have been sharing their talent and expertise within the Scottish film industry for a long time now! As production designer it’s Andy’s job to interpret the script in visual terms—designing the set, creating a colour and mood for the film in conjunction with the director/writer/cinematographer. His CV contains a wonderful list of memorable films and tv projects including Whisky Galore, Katie Morag, Silent Scream, Sunset Song and Venus Peter. Andy will be showing The Playboys, directed by past guest Gillies MacKinnon, and he will be talking about how he tackles his work creatively and practically.